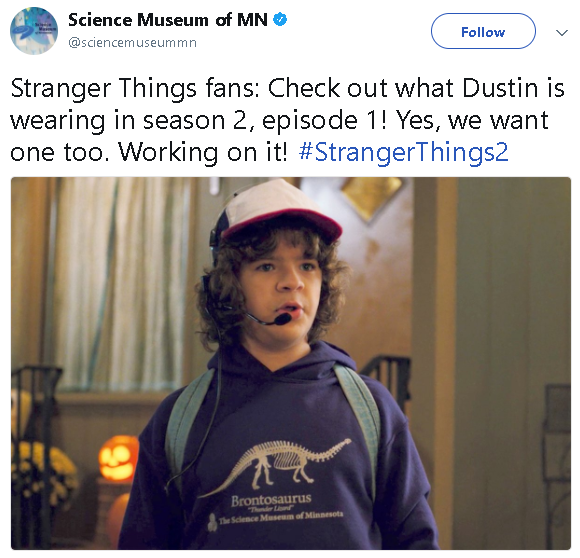 Back in the 80s, the Science Museum of Minnesota sold a dark purple hoodie with a picture of their large Brontosaurus skeleton and the caption, “Thunder Lizard.” Somehow, the costume department managed to get their hands on this vintage hoodie from 30 years ago and it made its way into the wildly popular show “Stranger Things 2”. Someone noticed, and people began to flood the museum’s social media to ask about it. 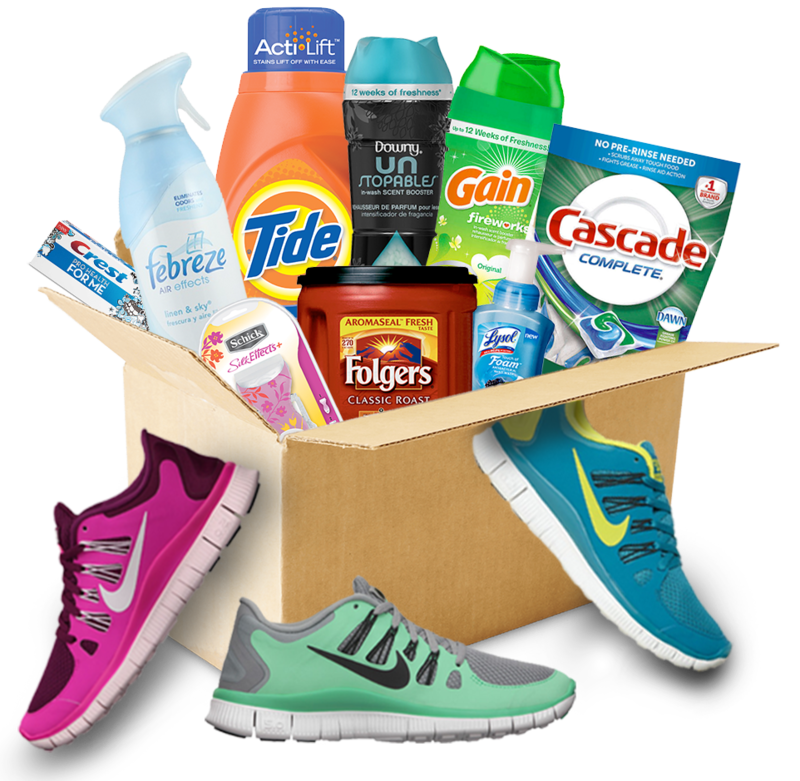 They responded in a big way, promising to have the hoodies and shirts made once more to sell. They worked fast, knowing that people were really, really excited about it…and they brought it back in a big way! They even managed to use their old logo on their new hoodies. 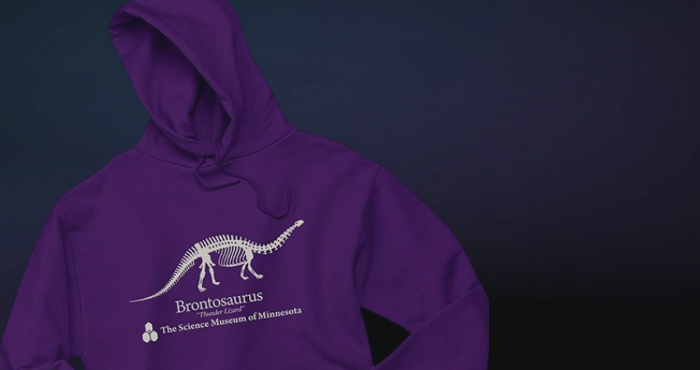 Instantly, they were bought by avid fans of the show (and probably a lot of dinosaur enthusiasts) and ended up raising over $600,000 to support educational outreach programs for the communities. They have no idea how someone got hold of one of their old hoodies, but after raising so much money to help fund the programs for children and education, they’re glad of it! Plus, the unexpected interest in dinosaurs drove a lot of conversation their way as people debated what the Brontosaurus should really be called.